This design is an addition to the standard range. Its advantage to our customers is that it allows easier adaptation to the space requirements and manufacturing conditions that are often already firmly specified. Type 76.95 requires slightly less installation space than the standard design 76.90H and 76.97H. The production of a cylindrical housing bore is also simpler. 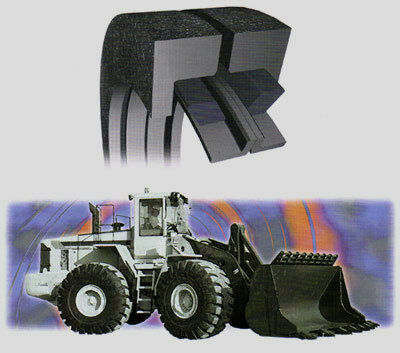 However greater dimensional accuracy is required because of the steeper spring characteristic of the trapezoidal rubber rings compared to O-rings. 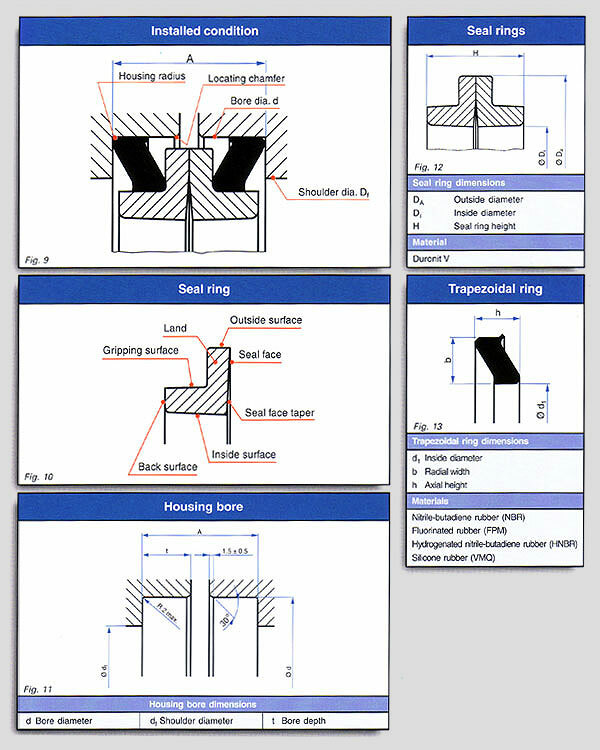 Dimensional inaccuracies in the housing bore are detrimental to the resilience reserves of the rubber rings and hence shorten the life of the seal. Mechanical face seal type 76.95 consists of two geometrically identical metallic angular seal rings, located against the respective housing bores by means of elastromeric components in the form of Belleville springs. Details of applications, working principle, materials, lubrication and maintenance of seal 76.95 are the same as for seals 76.90H and 76.97H and therefore apply to both seal designs.